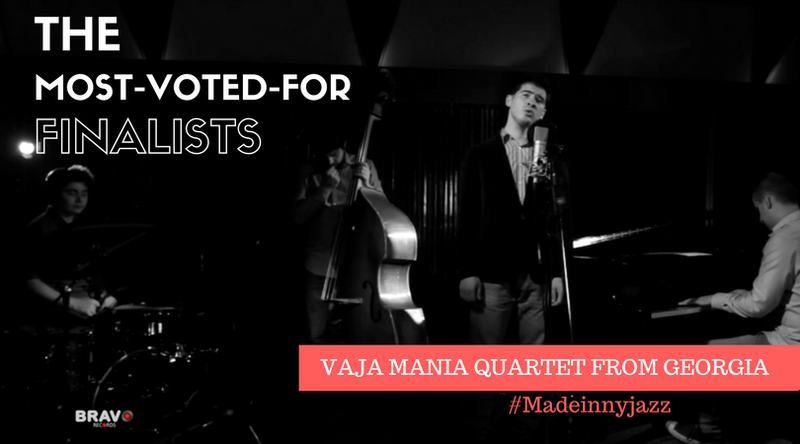 The names of the Made in New York Jazz Competition finalists were revealed recently. Among those receiving the most votes is Georgian Mania Quartet: Vazha Mania (vocals), Papuna Sharikadze (piano), Giorgi Kapanadze (drums) and Giorgi Kiknadze (bass). We are proud that their composition Duke Ellington’s Sound Of Love was recorded in Bravo Records. The finalists are selected through the online votes as well as the Competition’s Board of Members, which is comprised of highly regarded jazz musicians and Grammy Awards nominees and winners like Lenny White, Randy Brecker and Mike Stern. The final results revealing the winners will be published in the days to come.